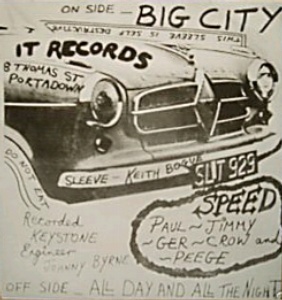 Their single was the first Northern Irish punk rock record and the first release on the Portadown based It Records label. It was recorded in 1977 in a studio in Dublin. 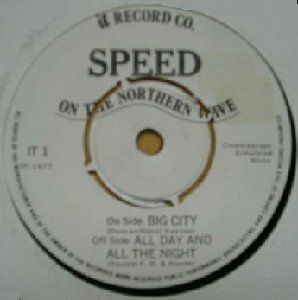 Speed split shortly after it's release but recorded a second single for the same label a month later as Midnite Cruiser. Paul West is AKA Paul Maxwell, later of The Tearjerkers. 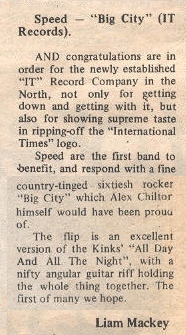 This is not the Speed on the "Identity Parade" compilaton LP on TJM Records (TJMLP3, 1980) who were from Manchester. 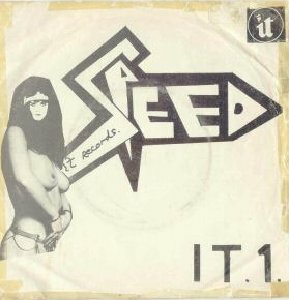 Kinks cover on the B-side.